How is Baird Vascular Institute affiliated with VCU Health? Every day, there’s a new discovery at VCU Health. Whether it’s a patient who undergoes a new, life-saving procedure or a clinical researcher who finds promise in a new cancer treatment, exciting medical advances are taking place. As the only academic medical center in the region, VCU Health is on the forefront of health care, providing patients with the most progressive treatments and medical technology available. For the third time, VCU Health has been ranked a #1 hospital in Virginia and the Richmond metro area by U.S.News & World Report®. Thanks to the dedication, compassion and expertise of its more than 11,000 team members — from doctors, nurses and resident medical staff to support personnel and administrators — the medical center also enjoys consistently high patient satisfaction ratings. 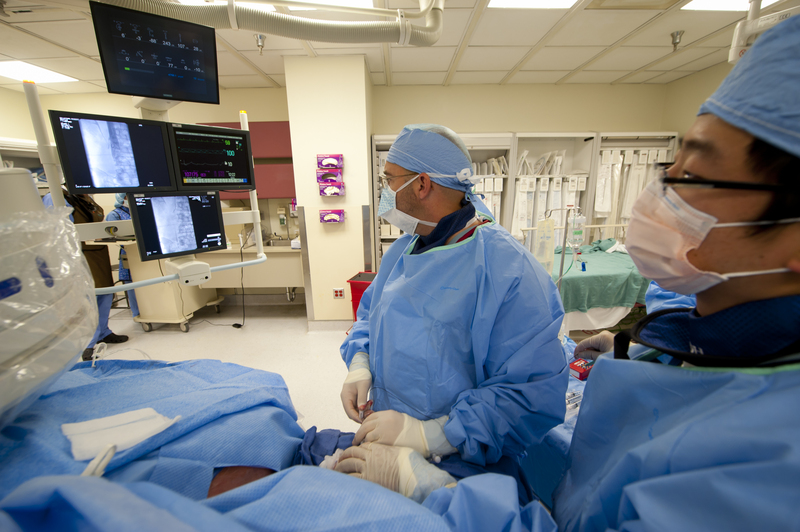 The interventional radiologists and vascular surgeons of VCU Health teamed up to create a unique and exciting service for patients in Central Virginia. By combining the experience and expertise of these two areas, these skilled physicians offer the very best in vascular care for the Greater Richmond area at Baird Vascular Institute. Our state-of-the-art facility offers customized vascular care tailored to the individual needs of each patient — set in a warm and friendly environment located conveniently just off Interstate I-195. VCU Health at Baird Vascular Institute is unique in that it combines the very best expertise and knowledge of a prominent academic medical center with the convenience of an outpatient clinic. Designed to be patient friendly and easily accessible, the Baird Vascular Institute provides patients with a comfortable setting for the diagnosis and treatment of many vascular conditions.